Specializing in roof replacement...Call us today! 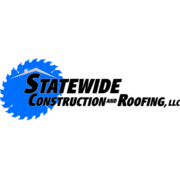 Rate and review Statewide Construction and Roofing LLC in Fenton, MI, United States! Share your experiences at Statewide Construction and Roofing LLC with your friends or discover more Miscellaneous in Fenton, MI, United States.